Introverts make up an estimated 40 percent of the population, but people with this personality type are often seen as something of a mystery. What exactly is an introvert? What characteristics do introverts usually share? Introversion is one of the major personality traits identified on many different theories of personality. 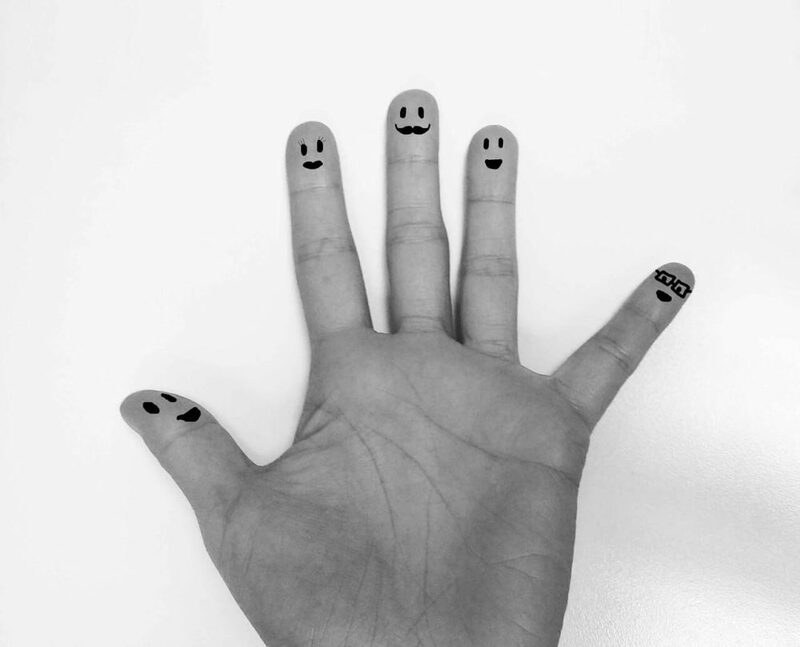 The so-called big five personality traits include introversion (along with extroversion) as one of the five major dimensions that make up personality. Introversion and extroversion are usually characterized as being part of a continuum, with extreme extroversion lying on one end and extreme introversion on the others. While some people may be very high on introversion or extroversion, most people lie somewhere in the middle of the continuum. People who are introverted tend to be what is known as inward-turning. Rather than being focused on external sources of stimulation, introverts gain energy from their internal thoughts and experiences. There’s been a lot of talk recently about introverts and extroverts. These two personality types are often presented as an either/or dichotomy, as in you either fit into one category or the other. The reality is that introversion and extroversion are actually more of a gradient. You might be high in introversion, or you might be somewhere more in the middle. You might even be more of an introvert in some settings and situations, and much more of an extrovert in others. Very few people would qualify and pure extroverts or pure introverts. It is also important to remember that being an introvert does not necessarily mean that you are shy or have social anxiety. Some introverted people are shy or socially anxious, but the terms are not synonymous. Is introversion something you are born with or is it something that arises as a result of experience? The question is a classic example of the age-old nature versus nurture debate in psychology. Recent research tends to point to hereditary and biological causes for introversion. There are differences in the brains of introverts and extroverts. One theory suggests that it is differences in dopamine levels in the brain that contributes to a person’s level of introversion or extroversion. The body’s basic physiology is believed to play an important role in whether a person tends to be more of an introvert or an extrovert. This is because our physiology is what controls how we respond to outside stimulation. Inside the brainstem is a structure known as the reticular activating system (RAS), which is responsible for controlling the body’s arousal levels. Every person has a different “set point” that represents their ideal arousal levels. Some researchers believe that introverts simply have a naturally higher set point. Because they are already living in a highly aroused state, too much outside stimulation can be overwhelming. Extroverts, on the other hand, tend to have a naturally lower arousal level, so they need to seek out external sources of stimulation in order to raise their levels up to their ideal point. For example, one study found that introverts are less motivated by novelty than extroverts are. As researchers observed areas of the brain while participants gambled. Specifically, they looked at the amygdala (which helps control emotions) and the nucleus accumbens (which helps control how dopamine is processed and used by the body’s reward system). What they observed was that extroverts had much stronger responses in these areas of the brain than did introverts. This suggests that extroverts tend to be more stimulated by external stimulation, while introverts showed less of a response. This is likely why extroverts enjoy novel activities and meeting new people – these events help stimulate their body’s reward and pleasure system. Introverts just don’t get that same effect. How does introversion impact behavior? One important thing to remember is that not all introverts are the same. Some people might be very introverted, others only a little, or somewhere in between. 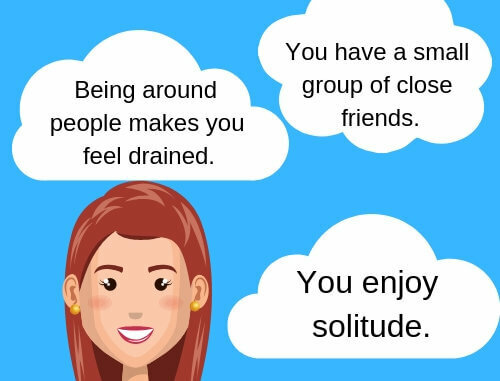 So what are some of the key signs that you might be an introvert. 1. Spending time by yourself helps you feel recharged. When you feel overwhelmed by other people, retreating for some alone time is one of the best ways to help you feel renewed. Where extroverts (also spelled extroverts) gain energy from social interactions, introverts have to expend energy when socializing. This does not mean that introverts hate all social interactions or are not good at getting along with other people. It just means that after an extended period around others, an introvert will typically need to retreat in order to enjoy some solitude. This quiet time alone helps the introvert rebuild their energy levels and recover from the exhaustion that socializing often brings. 2. You may have few, closer friends. Introverts typically do not enjoy socializing with people that they do not know well. However, they do enjoy spending time with a small group of very close friends and family members. While their social circle tends to be smaller, these relationships tend to be very deep and long-lasting. People who are high in extroversion usually have a wide circle of friends and acquaintances. They also enjoy meeting new people. Introverts, on the other hand, would rather interact one-on-one with the fairly narrow and selective group of people that they call friends. 3. You rarely initiate small talk with others. Introverts often feel like small talk is tedious or even stressful. Rather than verbalize every minor thought, introverted people tend to keep these kind of thoughts to themselves. While they are capable of making small talk when necessary, such as when they are networking with others, it is not something that they seek out. Small talk is often about sharing your thoughts and feelings on a variety of topics, from the weather to the news of the day. Introverts would rather keep these kind of thoughts to themselves. This often contributes to the perception that introverts are quiet and difficult to get to know. Other people do not immediately know what an introvert is thinking or feeling because they typically do not share this information readily through casual conversations. 4. You enjoy being alone. If you have some free time to do whatever you want, chances are you will choose an activity that involves solitude. Reading, video games, listening to music, and other solitary pursuits are often favorite activities for introverts. This does not mean that you want to be alone all the time – it just means that after a period of socializing with others, you need some time to yourself to unwind. If your idea of a good time is to spend a quiet afternoon alone pursuing hobbies and interests that you love, then there is a strong chance that you are an introvert. 5. You think best when you are by yourself. Group work and meetings have their place, but introverts tend to be at their most creative when they are allowed to work alone. This is why careers that require a lot of input from others or social interaction typically do not appeal to introverts. Instead, they excel at jobs that give them a great deal of autonomy. Examples of careers that might appeal to an introvert include writer, computer programmer, civil engineer, accountant, web designer, mechanic, or artist. 6. You dislike being the center of attention. When you are in a meeting, you are probably the last person to raise your hand to speak. Introverts prefer to observe and listen, so they are not likely to seek the spotlight in social situations. This does not mean that they are not good at public speaking – it just means it is not something they particularly enjoy or for which they will volunteer to do often. 7. Busy social situations leave you feeling overwhelmed or distracted. While extroverts tend to thrive in hectic, high-energy environments, introverts tend to get distract or feel overwhelmed in such situations. Research even suggests that introverts tend to be more easily distracted than extroverts are, which is why they may have such trouble concentrating in harried situations. 8. You dislike talking on the phone. Introverts tend to prefer asynchronous forms of communication (such as texting or email) to synchronous forms (such as talking on the phone). This is because introverts prefer to have time to think before they speak or respond. Talking on the phone often feels too much like being “put on the spot,” and introverts may feel stressed by not having time to consider all of their options before offering a response. 9. People have a hard time getting to know you. Because introverts tend to be quiet and reserved, other people sometimes feel that they are hard to get to know. As an introvert, you do not wear your heart on your sleeve. You keep your thoughts and feelings to yourself and carefully consider what you want to reveal before you speak. While this might make it harder for people to get to know you, it often means that the people you become friends with become very close. These people are the ones who have taken the time to learn more about you and because of this, you are much more open and willing to share your feelings with them. 10. Your inner life is rich and vivid. Introverts tend to be very creative and imaginative. Because their energy is directed inwardly, they spend a great deal of time living inside their own minds. They think about things carefully and like to imagine all of the possibilities. This same rich interior life means that they are also very good at introspection and self-analysis. They think about their own thoughts and motivations a great deal and, as a result, tend to be very self-aware. 11. You’re a great listener. Because introverts prefer to observe rather than speak, people often feel that they are great listeners. And while you prefer to have time to yourself, this does not mean that you are uninterested in other people. Introverts often enjoy listening to others talk and share their stories. Some introverts are shy, but this does not mean that all of them are. Introverts are simply low on sociability, which means that they do not feel a strong need to seek out the company of others. Shy people, on the other hand, tend to feel timid, tense, and inhibited when they are forced into social situations. Introverts are not angry misanthropes who eschew typical social conventions and avoid people altogether. In fact, introverts often have a great deal of interest in other people. It’s just that they have a limited reservoir of energy to expend on socializing. Spending a lot of time with others can be exhausting for an introvert, so they may avoid some social situations in order to maintain their energy levels. Introverts love solitude, but this does not mean that they want to be alone all the time. It also does not mean that they never want to leave the house. Going out with friends is something that most introverts enjoy at times – but often in small doses. They don’t want to spend all of their time alone, but they don’t want to spend all their time with other people either. Striking a good balance is key to well-being for anyone, whether you are an introvert or an extrovert. It is all about finding out what works best for your personality type. Respect their need for time alone. Reach out and be willing to lend an ear, but understand when they are not in the mood to share. Don’t try to force them into situations where they do not feel comfortable. Talk to introverts one-on-one rather than in group settings. Skip the trivial small talk and get right to the details. February 1, 2018 Kendra Cherry Personality Comments Off on Are You an Extrovert or Introvert?